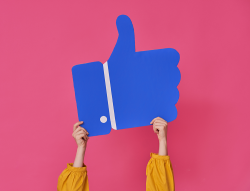 With 2.23 billion monthly active users, Facebook should be treated as a key platform for social media campaigns in 2019. However, it’s worth noting the demographics on the platform have changed in recent years. In the last 3 years, Facebook’s American teen userbase has fallen 21%, while the number of Americans 65+ on the platform has doubled since 2012. Also new to Facebook is the ability to join fan-made Groups using your artist or brand Page, and using music stickers to put your latest single in front of fans on Facebook Stories. Don’t forget to use new tools like these to start meaningful conversations with listeners around your new music on release day. In our deck of 2019 best practices, you’ll find a number of ways to keep your content fresh on the platform. From shiny new tools like Lip Sync Live, Watch Party, and Premieres, to the basics that will keep your posts on the algorithm’s good side, consider this the guide that frees you up to do more of what you do best – make music.